In China,there are many aggregates production line equipment manufacturers,but the aggregates production program offered was unsatisfactory,which makes aggregates production line equipment manufacturers embarrassing situation; stone production line program for process,it's a few years ago,there is no correlation process improvements and equipment replacement,which is the biggest problem that most of stone production line manufacturers are facing. 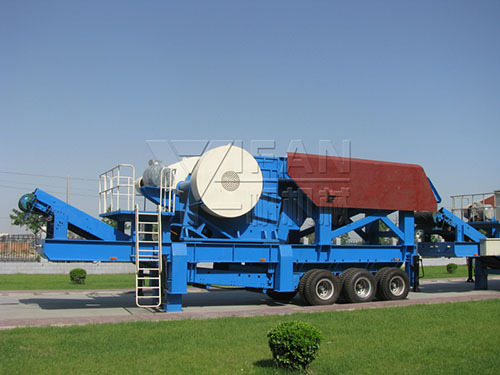 Yifan Machinery is committed to producing high-quality crushing equipment,has provided high-quality equipment for a number of key national projects,along with more stringent requirements for the construction of artificial sand generated on gradation and grain shape is also more to the more rigorous,and therefore new sand making market prospects are very bright,high output capacity, can fully meet the market demand for sand and gravel, artificial sand maker to a new starting point for development. The company produced stone crusher station, to provide you with comprehensive technical support, the sand and gravel production line is composed of feeder, jaw crusher,impact crusher, vibrating screen, belt conveyor and other major equipment components.